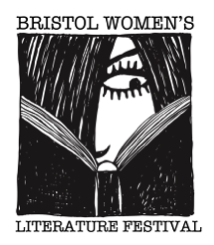 After its dazzling success in 2013, the Bristol Women’s Literature Festival is delighted to announce it is returning to Watershed on the 14th and 15th March 2015. Some of the literary scene’s brightest stars will be arriving in Bristol to join a unique festival that celebrates women’s writing. The Bristol Women’s Literature Festival aims to celebrate the work of women writers working today and throughout history. It brings together the diverse and exciting talent of women writers, academics and activists to showcase our fantastic literary heritage. The fascinating and varied programme features award-winning novelist and short story writer, Michele Roberts, winner of Faber Young Poet of the Year Helen Mort, writer and filmmaker Xiaolu Guo, poet and filmmaker Annemarie Jacir, activists and writers Beatrix Campbell and Caroline Criado-Perez, and leading academic Professor Helen Hackett. These women are, without doubt, some of the most influential and vibrant writers working today. The festival takes place across the weekend of 16th and 17th March at famous Bristol arts venue, Watershed. Organised by feminist writer Siân Norris, the event aims to celebrate the work of women writers in a literary scene that is all too often dominated by male voices. The festival opens on Saturday 14th March with a screening of the award-winning documentary film Paris was a Woman. Greta Schiller’s 1996 film explores the lives of the extraordinary women who made their home on Paris’ Left Bank in the 1920s, including Gertrude Stein, Djuna Barnes, Colette and Sylvia Beach. The film will be followed by a brief audience discussion, chaired by Siân Norris. In the afternoon, writers and activists, Beatrix Campbell and Caroline Criado-Perez, activist Nimko Ali, and Helen Lewis, the deputy editor of the New Statesman, will be talking about their work and the relationship between feminism and journalism. On Saturday evening award-winning film director and poet Annemarie Jacir and novelist Selma Dabbagh will read and discuss their own work, and the poems of other well-known Palestinian writers. This event is organised in collaboration with the Bristol Palestinian Film Festival, as part of Conversations about Cinema: Impact of Conflict. Sunday opens with a talk from Professor Helen Hackett on the women of Shakespeare’s time. Professor Hackett will introduce us to the women writers of the Renaissance who have been written out of history, and the process of bringing them back into the canon where they belong. The final event of the festival brings together some of the most exciting and innovative women working in the UK today. Novelist and short story writer Michele Roberts, first time novelist Amy C Mason, poet Helen Mort, playwright and memoirist Samantha Ellis, and writer and filmmaker Xiaolu Guo will join Sarah LeFanu to discuss their work. Why do we need a women’s literature festival? Although women have always written and always read, the UK literature scene continues to be very male dominated. A 2012 survey by For Books’ Sake revealed that at Manchester Literature festival, only 20 out of 74 speakers were women, whilst at the Latitude Literary Area, women made up 15 of 53 performers. Meanwhile, the VIDA Count shows the gross gender disparity in major literary publications and book reviews. The festival is supported by Watershed, Foyles, The Bristol Palestinian Film Festival and The Bristol Festival of Ideas. How much? Individual events are priced at £8 (£6 concession) with a weekend ticket available for £30 (£25 concession. Please note there are a limited number of weekend tickets). Tickets are on sale at the Watershed Box Office and website. This entry was posted in Uncategorized on 05/03/2015 by pgcwwn.